The owner of Motopol is registered on this forum too, his name is Gáspáry László. I think you can agree with him to send spare parts to the US, the shipping cost will be the same as from Germany. When will you travel back? Thanks for the info. It will be interesting getting parts when I take it back to the US. That's why I want to make sure I build this one for reliability not get crazy chasing speed. On the other hand, if you buy from West Europe, it will be much more expensive than from Ploand, because there this model was always rare. What about from the UK, Italy & Germany? Seems to be a lot on offer do you have any experience with these? There aren't too much suppliers left on the market. The big Hungarian car parts networks sell nearly northing nowadays for old East European cars. Only a few small suppliers left who purchase parts directly from Poland. Our primary partner is http://www.motopol.hu/ (at this moment their webshop seems to be down, it doesn't show any part, probably this'll be fixed soon). But it's getting harder day by day, as you might now, the production of 126 was stopped in 2000, so more and more parts not available in original, and just low quality aftermarket parts are available - if any. Yes I am an aircraft mechanic so working on these cars should be quite simple. The only thing I do not do myself is paint and machining. Are there any good suppliers of parts you can recommend. 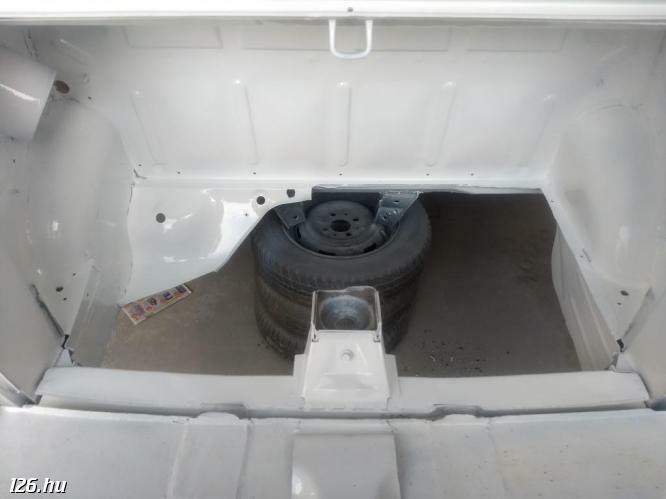 In this case you are familiar with the old, simple technologies, so the 126 cannot be a big surprise Your only problem can be the quality of spare parts. Nice, well hopefully I'll be able to make it to one soon. Are you goint to repair it by yourself? Did you have VW Beetles? Usually 4 times a year. Our biggest meeting is in July in every year. How often do you guys have club meets? I just thought it was cool and I sold my 3 old VWs when I left the US. I just wanted to buy something fun here that I could not get in the US. Yep that's him. Seems like a real nice guy too bad he doesn't speak english. 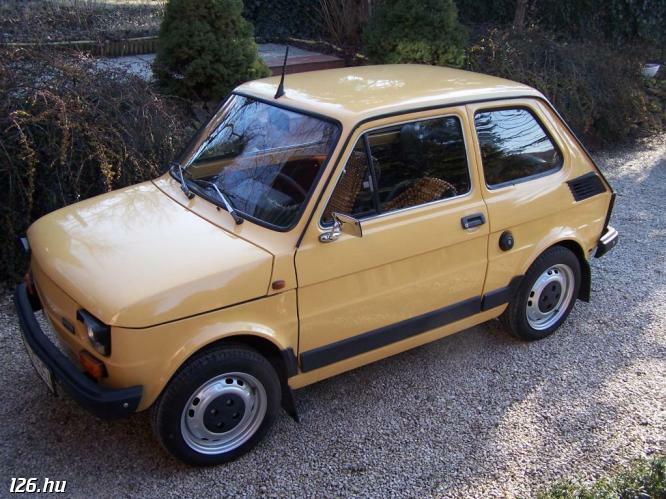 I'm American Air Force that's just been stationed here in Papa and I just bought my first Polski Fiat 126p. The car has your club sticker on it so maybe some of you know the car or the former owner Peter. As you might know, this is the weekend of our yearly big meeting so I am pretty sure none of us can participate in this event, however it would be nice. But if you'll have any other events in the future, don't hesitate to share with us. We invite you in 25-th july 2010 in the morning from 8.30 untill 18.00 to visit Fiat Factory. It would be a Family Day in a Fiat Factory in Poland - Tychy. This day you coul see the exhibition of the Fiat 126. We are looking for Fiat 126 users, who want to come to Poland and take a part in a visiting production, see the music show and spend the time with Fiat family. Music, good meal and company- all for free!!! 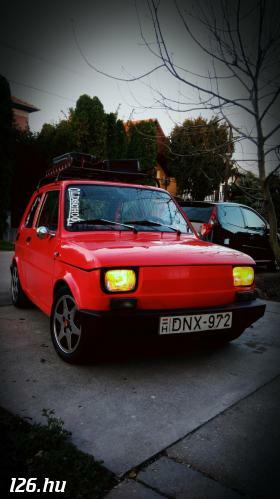 Send e-mail - fiat126.club.polska@interia.eu or adi.wolf@vp.pl with your name, number plate, registration number or pasport number of each driver and passenger. I am waiting for your aplications to the end of this week. If you are looking for more informations just write for e-mail. GRÁF MARCI szerkesztette 2010.04.29 14:08:53-kor. Hello to everybody. What's news? hoss karoly szerkesztette 2010.01.03 02:48:29-kor. Your town really has only 17 inhabitants? That could be the perfect place to have a relaxing holiday. As it looks, the sea is close to it too. Unfortunately I can't see too much on that picture, it's too small, but I think that it's not even a 650 engine. I'm very happy that other friends come here, in english forum. I hope to go to hungary on a day and to have a lot of fan. IS that the ignition you told about, Petya? Better don't talk of money.... I'm so rich as you. However I'm very happy that I still have the possibility to use hungarian florint( I have got no florints stored). Prices are so good that I was warried that the change could make a mistake. Janyboy is from the same city of katalin Vad, isn't he? which country is the HUM , under your name? Happy New Year for you also! Unfortunately we don't have EUR yet. Anyway, we have no money at all. Hello to everybody. Thanks a lot Petya. Many wishes! Happy new year! I hope everything good with the new euro money. The early models (600 and 650), which were also called "Standard" had a slightly different ignition advance curve, camshaft profile, and carb jetting, than the 650E, where E refers to "economic". After 1982 the standard engine was cancelled, and only the 650E remained in production. These are not so significant modifications, nothing remarkable. Hello, I found 126 bis ignition curve randomly. I understood it but my question was about other 126s ignition curve. Early model has the same advance but without the load engine dvance. Well, they have all the same ignition advance but one. What is in the picture before the last? Why are there so many curves? Somewhere there's a 126 with idle at 7°. Why? What are the differences that make change the ignition curve? Engine is gone so I was thinking if I need a head from later model owing to unleaded fuel. Thanks for every help. Try google translate in english and hungarian to understand more as possible. According me it tells that nanoplex is limited at 6000rpm an that the cut off takes the signal from coil and it's a fuel saver only. I plan to run my engine on E85, so I really must have a bigger advance, if I want to get the maximum out if it. (The compression ratio will be set a bit upper as well.) Isn't just more simple, if I change the position of the TDC sensor? (Well in this case, the spark energy still would be lower, and the rpm limit would still remain, but the main problem would be solved.) I have a mild camshaft (it's somwhere around 290°), and I don't think that the peak rpm would be above 7000. That lightened timing pulley looks nice, I've been looking for something like that, but I only found in Italy for a horrible price, and in Germany it's not so horrible, but still three times expensive than a stock one. Hello, Merry Christmas to everybody. Don't worry about 6v supply. It means that it takes at the least 6v to work. Apart the differences,it's exchangeable...Plug&play. 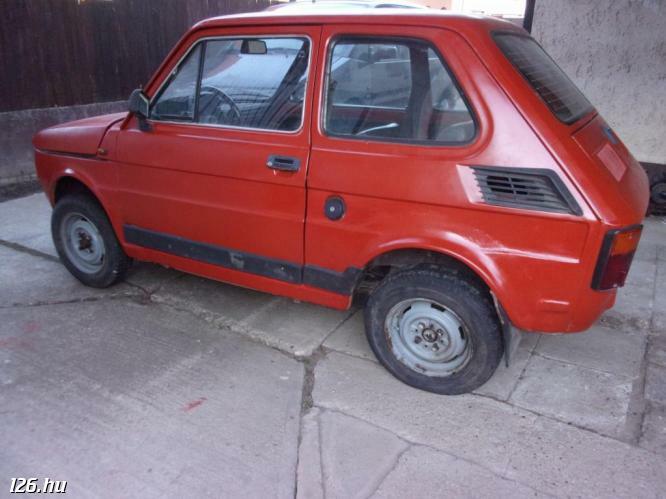 It isn't sure but I think that cinquecento can use 20ff without any problem while standard 126s probably don't allow too much advance, in fact I saw on tuning ones only. That's my piece of advice play with your ignition before, check set up at the idle and then if you need more much advance trythe ape. Just feel free to ask it! We're not closed for the Holidays. I save a question to ask after the Holydays. Thanks for the info! That 6V supply voltage does mean thet I have to change anything, if i want to install APE ignition, or can I leave all the things unchanged? Unfortunately the diagram does not appear on the page you linked. Thanks, and Merry Christmas for you, also! Maybe Gaspary Laszlo can speak polish and could help you all better than me. g.kopryna(at)itar.pl made the ape 20ff. If you look for ape20ff you'll find my other posts. I don't exactly know the structure of the BIS ignition, but as it looks like, it has a primary rpm-modulated advance curve, and a manifold air pressure-controlled secondary curve. The primary curve is nearly the same as the air cooled 126's bob-and-sping controlled advance diagram. On the page you have linked, the guy made the conversion to get the mechanical breaker out the system, and substitute it with a Hall-sensor, but as I see the advance control remained mechanical type (with bobs and springs). Is it plug'n'play for a Maluch with Nanoplex ignition? What is the difference between this, and a stock blue Nanoplex ECU? is it static ? solid-state maybe , but static ... unless the advance is controlled by some kind of ECU . Did you already know ape 20ff ignition module? It's a static digital ignition. Thanks for the tip. I found the link looking for nanoplex by using google web. It was on the page following peugeout elyseo with nanoplex ignition. 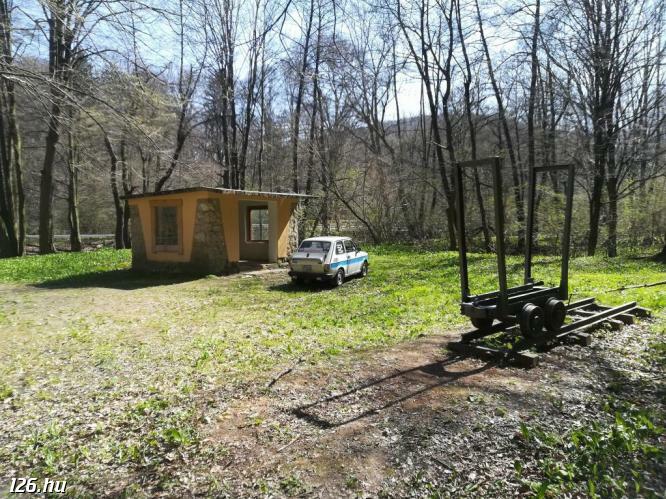 I'll look for digiplex microplex on zastava florida tipo engined. Are there curves of other 126 models? Alright, exactly that's which I wanted to link. How did you find it? Yeah, nanoplex is a very rare stuff, as far as I know it was only used in polish cars, such as Maluch, and Cinquecento 700. That 17-pin ECU is too complicated, and it's really unnecessary, it's just too much hassle to install it on your car. You should look for Marelli Digiplex or Microplex ECU-s, they are also 17-pin ECUs, but these are much more easy to find. (Fiat Uno, and some models of Tipo were made with this). You can also find Haynes workshop manuals for Uno, that contains the complete wiring diagram of these ignitions. Combining a stock mechanical ignition with a vacuum advance unit, is not so simple as it looks, unless you have a mechanical braker unit with a vacuum-pipe interface. If you haven't got this type of stuff, you'd better off with an electronically controlled ignition system where the breaker's acting only as a crankshaft TDC sensor. click on skematy el., in silnik 700 z katalyzatorem there's a 17 pin ecu that controls the carb and is in connection with a lamba sensor. It's from cinquecento 704 aisan carburatored. I asked for a nanoplex at the junk yard but they laughed. It's too rare. I'm thinking of a mechanical ignition with vacuum advance from 126 bis or the red ecu ignition. About the first project, do you think that can be done? Do they sell it as spare part? Gosd luck to everybody for nanoplex. It's a polish mystery. Well, it may be a fuel saver, but also funcions as an emission-controller stuff. A fuel saving device can be found even in the cars from the late eighties. They have the old type of ignition system, but int the carb, there is a solenoid valve, which cuts fuel supply of the idle jet when the rpm drops. This means, that the engine gets no fuel during engine-braking. It was a problematic stuff, and in practice, it did not save mentionable amount of fuel, so everybody used to repalace it. ELX and EL ingnition does not control carb, they only have a vacuum pipe to the carb, for the MAP sensor. I made a wiring diagram of the ELX ingnition, (I may send you the link, if you like it), and it seems that cut-out module is in connection with a lambda-sensor. Elx has blue module and cut off, while el has cc black or grey one without cut off module. Maybe your theory is right. You should check wires to understand what the cut-out controls. If you use google translate for the links about video you won't understand a lot but it seems something reguarding the carburator too.Does the cut-out module control the rpm limiting too ? Or is it a fuel saver only? Think about when you take off your foot from accelerator. As far as I know, Karoly said it right: they have tried to sell brand new pieces of 2105 and 2107 only the engine was updated to meet the Euro4 emission criteria. I have a blue ignition unit, but it seems to me, that an other module (the cut-out module) controls the rpm limiting. This cut-out module came only with the ELX version, the ignition system of EL does not contain it. Am I right with this theory? as far as I know ,after they saw the success of dacia they tried to sell it for nearly a kiss in western europe , - that was about six months ago - dunno if it worked out or not . they planned to keep the old chassis , and put an updated eu-conform GM injected engine in it and make a simple , reliable old-new car .